An update to one of the game’s most popular mods has increased the max character level to 125 and removed the cap on monster health, making the grind more deadly than ever. Median XL 2017, the latest season in the Median mod, was released yesterday. 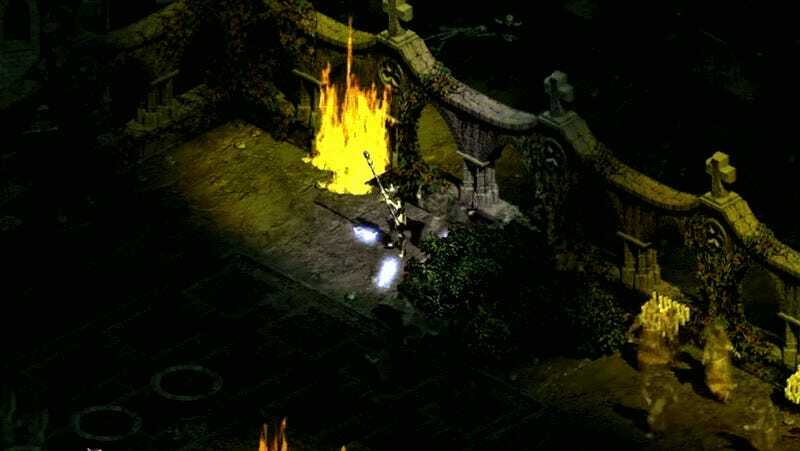 The latest update to one of Diablo II’s most robust mods, it adds a number of new features and improvements to a beloved game that came out seventeen years ago next month. The changes include tons of new skills, improved monster AI, and more endgame uberquests—everything a committed Diablo II player could hope for. Of course, one of the most welcome changes brought with the update will no doubt be the auto-gold pickup. Outside of towns, the coin netted by slaying grainy monsters will now update players’ purses without them having to physically collect it. The complete change log for the 2017 update is both extensive and intimidating, especially for a game whose sequel is still getting add-ons from Blizzard (although not as many as fans would like). While Diablo III gets official season with content and player resets partitioned out by Blizzard, so does Diablo II, just with the help of dedicated fans instead of a paid staff. But just because Median XL is a labor of love doesn’t mean it’s not fine-tuned and highly detailed. Utilizing the mod requires having already downloaded Diablo II with a valid copy of the game key. You can find more information about how to download and setup the mod here.